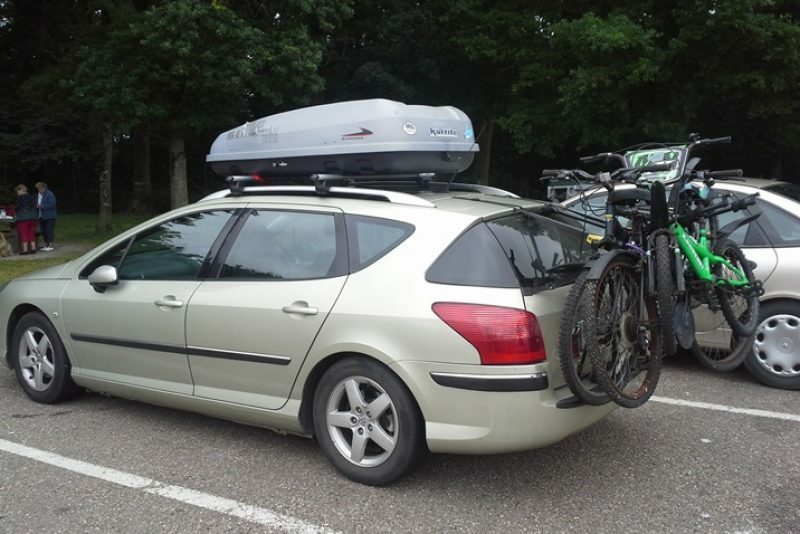 What should one pack to optimise one’s experience on a driving/camping holiday in France? We all have our own ideas – each that are as individual as ourselves, of the places we’re planning to visit and of what we plan to do there. There are a some essentials and there are some luxuries. If you haven’t travelled by ferry in a while and are used to the restrictive carry-on at airports where everyone is treated as a potential terrorist, then you’ll find the wonderful freedom of car-ferry travel exhilarating. I remember the first time I had been in many years and was so delighted to be able to pack a pen-knife (for use in the fishing that I planned to do: just to clarify) and large bottles of water without running the risk of some busy-body at the border confiscate them on me. 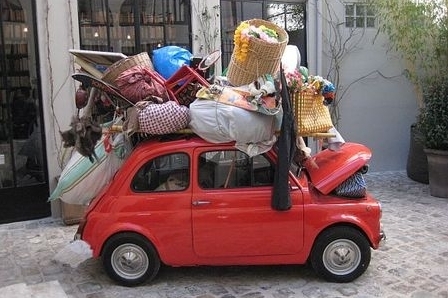 This can lead to PO (Premature Overloading) – an embarrassing condition where the person packing can get so excited that he/she quickly piles in too much stuff in the car and finds themselves going from a position of having a luxurious amount of room to none at all. So the first lesson is to realise that, even though you do have a lot more space than you would on a plane trip, it isn’t that much more and you need to keep it tight if you’re to have any hope of packing some coffee and wine on the return journey. 1. Spare bulbs. These are things that one should have in one’s car in any event, but the law says that you have to have spare set of bulbs in your automobile at all times. 2. Breathalyser. Since November 2012, it has been mandatory for anyone driving a car in France (hired cars included) to have what the French call and Éthylotest in their possession. There are two types of self-tester – the cheap chemical one (that costs about €1 and is designed to be used just once) and the electronic one (that costs €100). Buy them online before you go or take your chances on buying one at any petrol station, hypermarket or pharmacy. Wherever you buy them, make sure that they have the French quality norm “NF” on them – otherwise, they’re not up to standard. 3. Map. There are those who love their sat-navs and there are those who don’t. Either way, a map made of paper (whether for use as back-up map or as principal map) showing you the roads of France is essential. 4. Dictionary. In this increasingly Anglo/American-oriented world, we tend to get the impression that everybody everywhere understands English. It’s true that you’ll find English-speakers in just about every town you visit, but in France, most people don’t speak English. Besides, it’s a mark of respect that you at least attempt to communicate in the language of the country and such efforts will be rewarded. If you don’t want to bring along the book you might find a handy app for your phone. Google Translate or Speak & Translate can be very handy, with their ability to even speak the words for you. 5. Reflective Triangle and Reflective Jacket. Another obligatory one according to French law. 1. Picnic Basket. France has two great advantages over Ireland – the weather is nicer and they have fantastic picnic stops that are actually well-maintained. These are the aires. The level of sophistication does vary but they are all well looked after. Some may be part of a big motorway services area while others will be simple a picnic table and a dustbin. Most, however, will have facilities that put any comparison with Ireland firmly in the shade – particularly if you’re sticking to the national primary roads (N-roads). Expect toilets, washing-up sinks, bins that aren’t overflowing onto the ground and sometimes showers. 2. Parasol. It’s something that the un-seasoned Irish venturer often forgets but which will make life a lot more comfortable if you plan on spending long hours outdoors at the beach. In Ireland, we have the wind break in order to lessen the chilling and sand-storm-inducing effect of the wind. 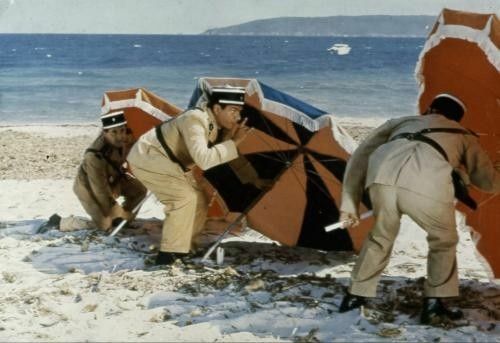 In France, they have parasols to lessen the effect of the sun. 3. Sun-glasses and Spare Sun-glasses. They’re not just there to make you look cool; prolonged exposure to strong sunlight is not good for your eyes. 4. Sun-cream. A camp site holiday means long hours by the pool for the children. Somewhere like Aldi is just about the best place to stock up before you go. 5. Mosquito repellent. The jury is out on just how effective these things are. The after-bite treatment that you can get is definitely effective, but for me, a course of garlic pills every day for a few weeks before you head off seems to do the trick, although it can also double as a wife repellent. For a two-week holiday, my advice is to bring absolutely no more than three of everything for the nice weather and one set of clothes for cold/rainy weather (including socks) and pack them not in suitcases but in black plastic bin liners (of the increasingly rare sturdy variety). That way, you’ll find that everything fits that much better, leaving the all-important room for plenty of wine and coffee on the way back.